A short horror game I made with UE4. Awesome demo.. 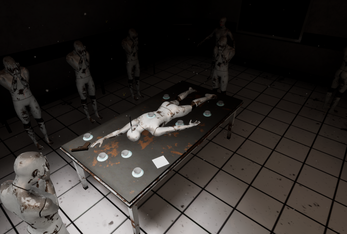 I hate mannequins, And this game gave me a healthy dose of heart attack in a cup.. Hope to see more like it in the future, Gave me goosebumps throughout the playthrough! Glad I found this one. Awesome game! Just made a video of this game as the 3rd and final game in my 3 Random Games series. 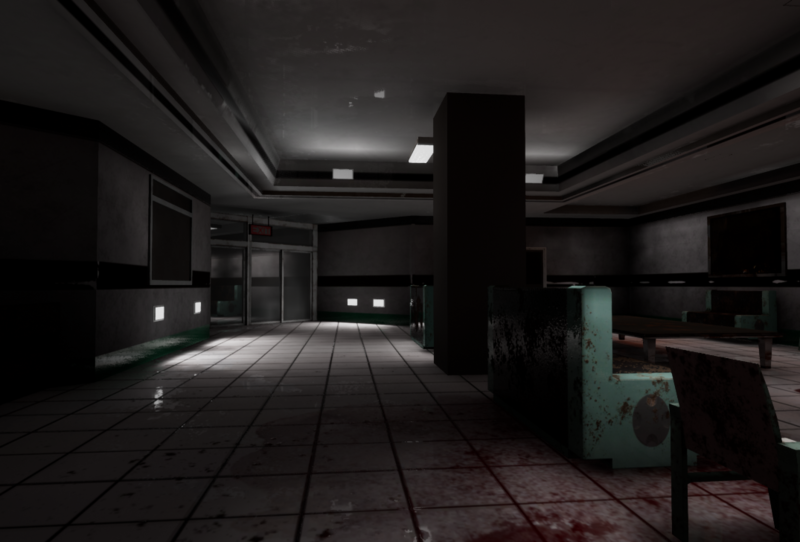 SUCH A WELL MADE INDIE HORROR GAME! I didn't think that this game will be spooky and funny at the same time x) Good game! So this game was pretty nice looking! It hit the PC pretty hard, but it was pretty. The mannequins were terrifying, as they always are. I'm not usually a fan of horror games where you get a firearm, but this one wasn't too bad. The whole game felt like an investigation and that really inspired the player to get more immersed in the experience. Short and sweet! Thanks for making this! mf why is this Loss meme? I think it could have been scarier to be honest. I did enjoy the concept however. I would actually like to see a more detailed game with more intense jump scares. I think you have a cool idea here. I would like maybe a more driven story line with more chasing of the murder, more detective stuff. I know this is just a short little horror game but I would love to see what you could do with an more elaborate version of the game. Overall it was a good job! The first horror game I've played in a while, and it had my jumping like crazy!! I loved the ambiance, had me anticipating a jump scare the entire time! I was lost for a bit though, unsure what to do. I figured it out in the end, but some clearer instructions would've been helpful! 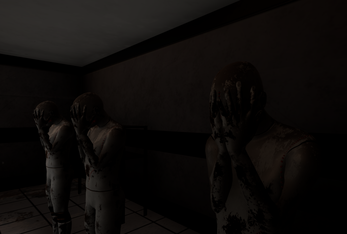 Definitely one of my favorite indie horror games in a long time!! Thank you for playing and even more for the constructive feedback. I really appreciate it. Geez. I like how you made use of the Mona Lisa Effect on the Mannequins. Definitely one of the more spookier games. im guessing its not working becuz i have to change the settings?? I truly hate mannequins, even ones that walk or even run at you to actually kill you. I didn't realize there was shooting....let's say I got very spooped. This is a short horror game or, so the developer says. You play as, a detective investigating a murder. A lot of the gameplay reminded me of the game Urbex and, Midnight shift. Not sure if this was inspired from Urbex or, if it was just a concidence. I had to double check and, make sure it wasn't the same developer and, it is indeed another developer who makes this game. Either way you still have a great game that is unique in this own way. I think this game you are a mannequin detective? The hand looks like a mannequin hand anyway not sure if intentional or, not in that regard too. Thank you, yes Urbex was definitely a spark to what the game is. I have a tip for the developer in UE4 go into the plugin section and disable steam vr plugin and occulus plugin otherwise if you have a headset plugged in it will try to use it and tank your framerate. Thank you, I just assumed its an unreal thing....lol. Appreciated. Even if this game it's supposed to be scary I had a lot of fun!! Can't wait to have the chance to catch the killer! Nice Job!! Oh my gosh! There's been a MERDER! I am looking forward to the full game. A MASSIVE thanks to everyone who has played the game, made youtube videos and posted comments...I am overwhelmed and super grateful for every single one..THANK YOU. I am trying to watch and comment on everyones videos, its just taking a while. Loved it, the mannequins are genuinely creepy, and the overall design was well made. Love the code on the wall too. Thanks for releasing this demo, looking forward to the full game. 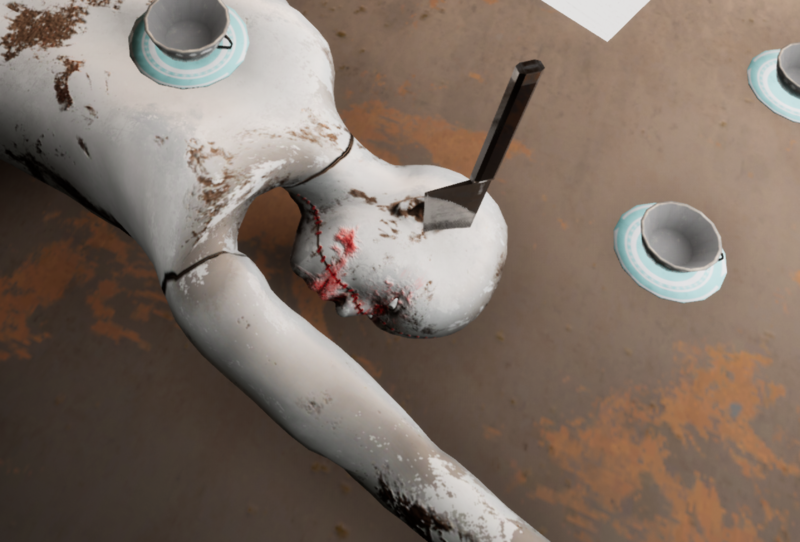 Mannequins are one of the few things I fear most in horror games! If only I had some way to defend myself! I think we can all agree that Mannequins creatures are scary for all players. 2 Thumbs up. Smooth, that's how this game plays, like swimming in a velvet smoothie. The horror wasnt wasted on me either, from the twisted heads that follow your every move to the quick flashes of people running over the CCTV system you had me tensed and sweaty for my entire play through. I really enjoyed the extra "item" you get at the table it provided a sense of security without making me any less scared.